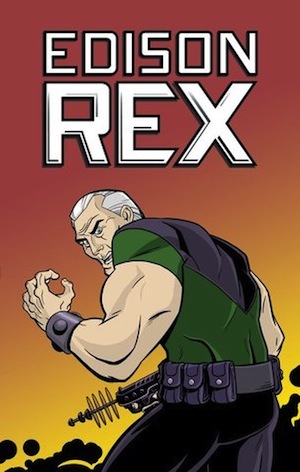 Edison Rex is written by Chris Roberson, drawn by Dennis Culver, and published by Monkeybrain. I originally picked this up for two reasons: its available for a mere 99 cents an issue, and its premise had that little hook that grabbed at my attention. The main character is your basic Lex Luthor archetype actually succeeds in defeating his superhero nemesis... but now who'll protect the planet? Its a quick read that's fun, has a good sense of humor, and has just the right silver-age feel. Its an ongoing series, available digitally on Comixology. 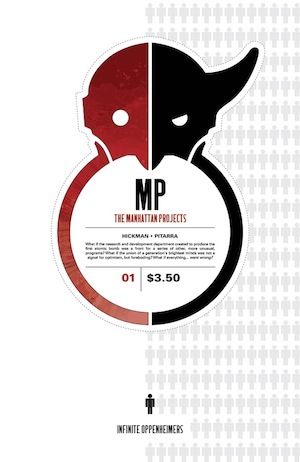 The Manhattan Projects is written by Jonathan Hickman, drawn by Nick Pitarra, and published by Image. What if the Manhattan Project that gave the United States the atomic bomb was just a cover for some really unusual programs? Hickman has been doing some great big-idea stories over at Marvel, but here he's got free reign to go completely bonkers. Every time I think I see where its going, it veers off into an even more amazing direction. The first trade is out now, collecting the first six issues, and is highly recommended. 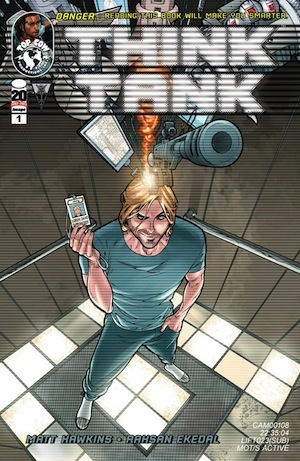 Think Tank is written by Matt Hawkins, drawn by Rahsan Ekedal, and published by Image. The premise is a similar to that Val Kilmer flick, "Real Genius", where a slacker who's a super-genius inventor makes weapons for the military. It starts to unravel as the main character wants out of the organization, but his handlers don't really want to let him go. Some people might skip it because its a black-and-white comic, but trust me, the smart writing and great characters easily make the lack of color a non-issue. It was originally going to be a four-issue limited series, but its still running, having been extended to a ten issue run. Witch Doctor is written by Brandon Seifert, drawn by Lukas Ketner, and published by Image. 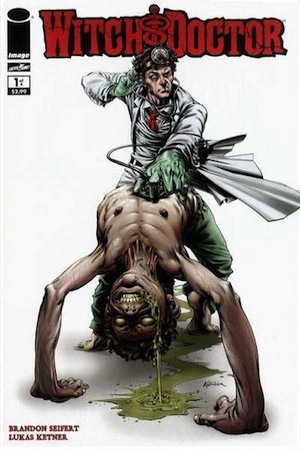 It's a medical horror series thats been praised by the likes of Cory Doctorow, Warren Ellis, and Robert Kirkman. Try to imagine House crossed with Fringe crossed with Lovecraft, and you'll start to get the idea. It's smart, it's twisted, and its filled with great potential. The "Under The Knife" edition collects the entire first miniseries with the zero-issue, and the second miniseries, "Malpractice", starts up in late November.